This is a charity web store for Web Artists for a Better World, a group run by Rebecca Scoble of Sparkler Monthly. The participating creators--comic artists, game makers, musicians, directors, etc--agree to put their digital products up for a period of time with all proceeds going to charity. KIND is a charity that makes sure unaccompanied minors who immigrate to the US have access to lawyers and legal support. The Florence Project is an Arizona charity that helps immigrant kids, adults, and families learn their rights and provides legal and social services. 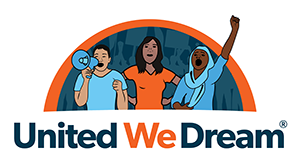 United We Dream is an immigrant youth-led charity working to defund ICE and protect DACA kids and their families from deportation. To submit your digital project to our roster, please fill out this survey. Please contact Rebecca at manager@chromaticpress.com with any questions. A bounty hunter and a barmaid in the old west. A story of revolution and gay angel spies. Six crew members, 40,000 cryogenically frozen refugees, and a dead body that shouldn't be there.